Azure portal is one stop shop for all the services in Microsoft cloud. When a user logins to a Azure portal for the first time, he/she can see all these services which are already selected as favourite services by default. The selection of favourite services in Azure portal for individual user is not based on user’s profile or access rights of user. This is not really good for new users in Azure portal. They will struggle to find out their role related services. For example, you are an Intune admin and you have only access to Intune and Azure AD users and groups. But you log into Azure portal you will see all loads of services which make no sense to you at all. You will also find it really messy and I’m sure you will get lost in Azure portal until you find the search button or Intune services. Don’t worry there is very friendly search option available in Azure portal. 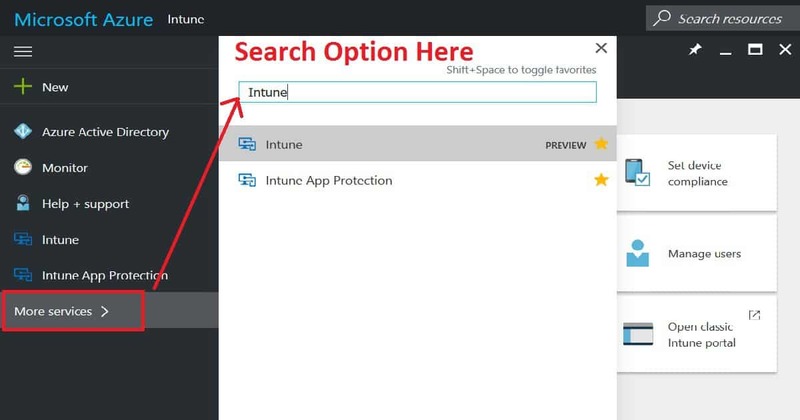 If you are Intune admin then you can just click on more services and type “Intune” in the search menu. 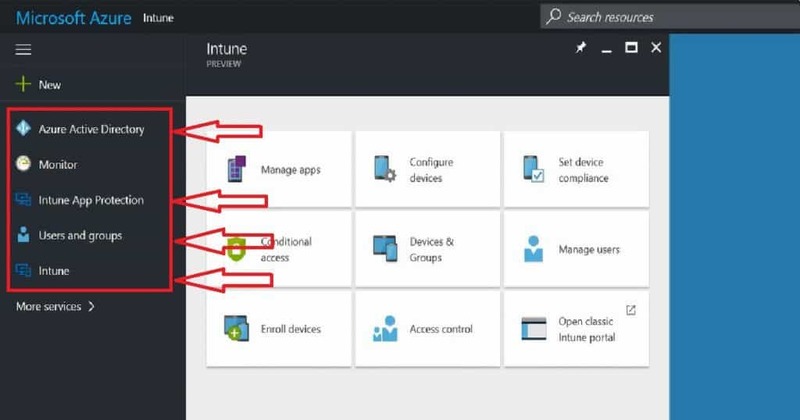 You can see 2 Intune services one is for Intune (MDM) and the second one is for Intune App Protection (MAM with out enrollment). 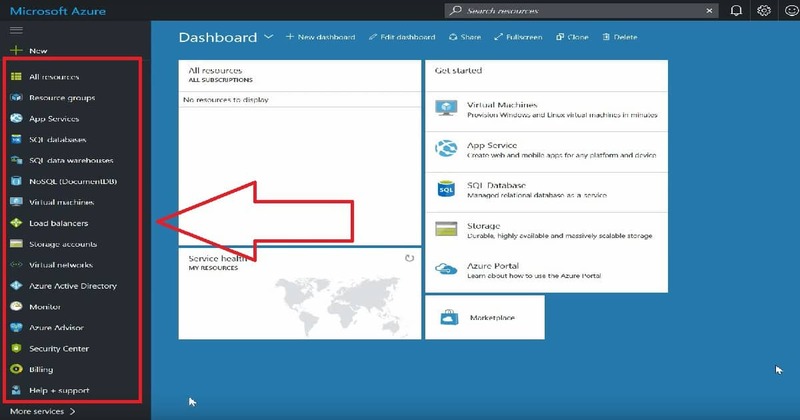 To keep your Azure portal well organized, you need to spend only 2-3 minutes when you login to the portal for the first time. 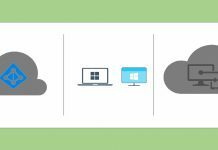 What do we need to do to get neatly organized Azure portal? You login to Azure portal and click on more services button, then remove the services which are not relevant for you. For example, Intune admins don’t have anything to do with “Virtual Machines” hence you can remove Virtual machine service from favourite menu. 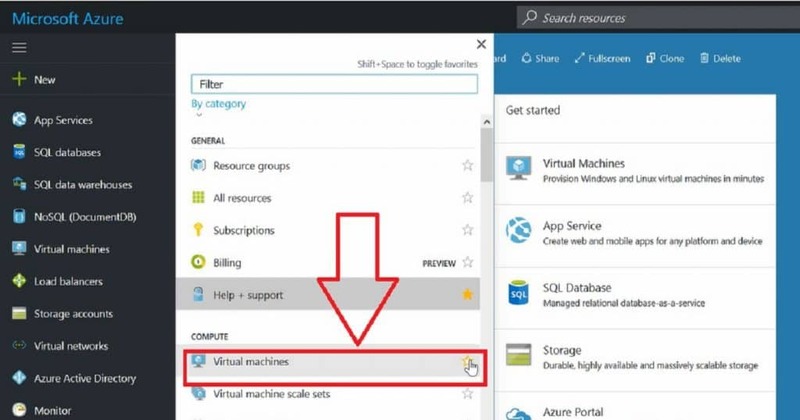 So this will help you to get rid of Virtual machine shortcut from the left side menu of Azure portal. 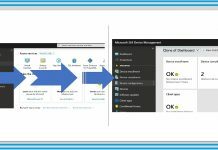 END Result :- Clean and Tidy Azure portal for Intune Admins. 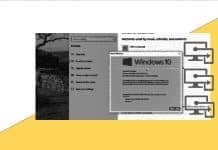 Remove all the services from Azure portal except Azure Active Directory, Users and Groups, Intune and Intune protection services.